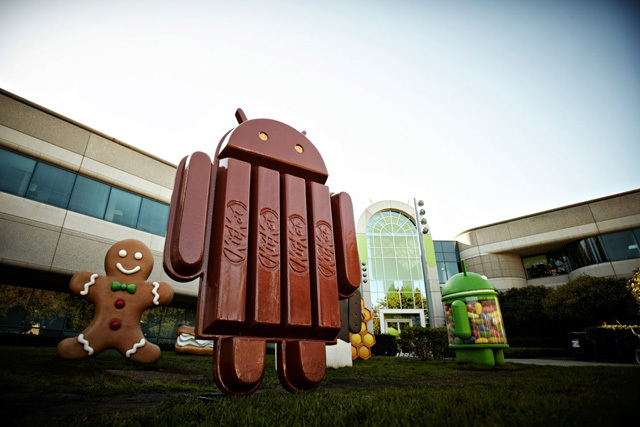 Android 4.4 Is On Course To Be Called…KitKat? As the tech boffins are well aware by now, Google have a tendency to come up with some creative code-naming for their Android Operating Systems with some unusual names over the past few years. You only need to look at our History of Android Codename post on Sell My Mobile to get an idea. This time they seem to have topped it all off with the introduction of Android 4.4, which has also been dubbed as Android KitKat. They have also designed and created a statue (see above) that can be seen towering above the Gingerbread and Jelly Bean statues outside its headquarters. The image below is set to appear on billions of KitKat wrappers to advertise the partnership (where no money apparently changed hands?!). What do you think of this idea? Good or Bad?